At Business Questions I raised that the Prime Minister did not say in her statement whether her deal would be brought back to Parliament. I asked the Leader of the House whether it is the Government’s intention to bring back a second meaningful vote to the House? 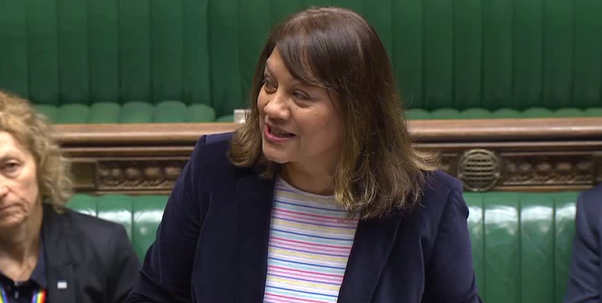 Last week, I raised the issue of the size of statutory instruments. My hon. Friend the Member for Workington (Sue Hayman) and other MPs co-signed a letter to the Chief Whip, because their constituencies will be affected by an SI tabled to replace the REACH regulation—I will set this out because it is important—on the registration, evaluation, authorisation and restriction of chemicals. Right hon. and hon. Members have met industry representatives, who have serious concerns about the legislation and the effects that it might have on the chemical industry. Those industries are staying in the UK, so it is important for all Members to have a chance to debate that. Will the Leader of the House ensure that that statutory instrument is brought to the Floor of House for debate and proper scrutiny? I was going to describe the situation as chaotic, but I suppose confused and reckless are better words. The Secretary of State for International Trade admitted that preparations for a no-deal Brexit, by falling back on World Trade Organisation rules, are impossible unless the Trade Bill passes through Parliament. I heard the very able Minister, the hon. Member for Meon Valley (George Hollingbery), say just now that the House of Lords has blocked the Bill: it has not. The Lords found that the Trade Bill gives wide powers to Ministers, does not include Parliament or the devolved Administrations, and has no process for making international trade agreements. When will the Government publish the White Paper to set out their policy and proposals for making such agreements? Will the Leader of the House clarify policy, because the Government have been saying different things? Parliament passed the Sanctions and Anti-Money Laundering Act 2018 with an amendment on public registers. The Act said that such registers would be introduced by 2020 if the overseas territories had not done so voluntarily, and yet a Minister has said that the Government will have “a requirement for an operational public register by 2023”. That is three years later than the House agreed and five years after Parliament voted to take action on the issue. Will she clarify that? What are the Government doing about leveraged debts? The Bank of England has raised a red flag over that new breed of sub-prime loans. Ten years on from the financial crash, banks are doling out those risky loans to indebted companies. May we have an urgent statement from the Chancellor on leveraged debts before it is too late? Our much admired and efficient justice system is in meltdown, causing the Attorney General to say that the Crown Prosecution Service cannot take any more cuts.